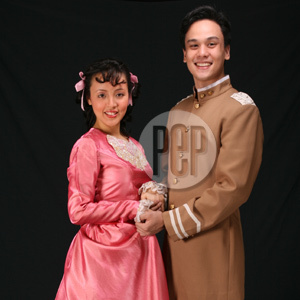 Cris Villonco (left) will play Cinderella and Niccolo Manahan (right) will be the Prince in Repertory Philippines’ production of the classic children’s tale that will open on August 11. So sings Tevye the milkman, over and over, in the opening number of the much-loved Broadway musical Fiddler on the Roof. He might have been talking about Repertory Philippines, the country’s premier theater company, which is currently celebrating an incredible 40 years of tradition. Since 1968, Rep has produced hundreds of well-loved plays, musicals, and musical revues and, in the process, has helped to develop some of the country’s best theatrical talent. If Tevye himself were to look back on this rich history, he would be impressed that such a proud theatrical tradition could be kept alive for so long. But for Rep, it’s not enough. This is why Rep continues to move forward, offering a healthy combination of the old and the new, the traditional and the cutting-edge-sometimes within the same show. Its classic production this year, for example, is a bold new version of Shakespeare’s timeless comedy Loves Labour’s Lost, set in the University Belt in the free-wheeling ‘80s. Also on the roster (for Repertory Children’s Theater) is a new musical version of the delightful Disney classic Cinderella. And Rep closes this landmark season with the aforementioned Fiddler on the Roof as its major production for 2007. Forty years on, and Rep still believes in the importance of looking back. But for Rep, looking back is nothing unless it helps you to move forward. We think Tevye would approve. Disney’s Cinderella for Kids opens on August 11, William Shakespeare’s Loves Labour’s Lost opens on September 15, and Fiddler On The Roof opens on November 9. All shows will be performed at Onstage, Greenbelt 1, Makati City. For tickets and show schedules, please call 8870710 or Ticketworld at 891999.